Just as our name states, our goal is to provide you with an innovative solution to managing your surplus medical equipment. Our professional staff will travel to your facility to inventory your surplus equipment, take pictures, review the conditions, and formulate an itemized list with pertinent information such as equipment description, model, serial, biomed number, and/or any other special information. Click Here to See Examples of Equipment we Purchase. Upon completion of the physical inventory we will itemize the inventory in an electronic format and present it to you with an "Offer to Purchase", at no cost to you. Click Here to View a Sample "Offer to Purchase Medical Equipment". A Bill of Sale will be provided releasing your facility of any and all liabilities concerning all items purchased by Medical Equipment Solutions. 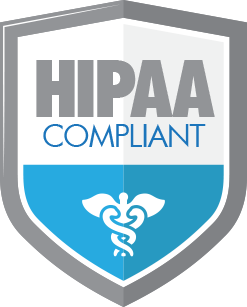 We also have a business associate agreement that holds us responsible for clearing PHI from equipment in accordance with HIPAA. Click Here to View a Sample "Bill of Sale". Once the purchase has been authorized, our professional pick up team will arrive with payment in hand at a prearranged time to pick up the medical equipment. There is no need for you to extend your staff...we crate, pack, and load...it is ALL on us.